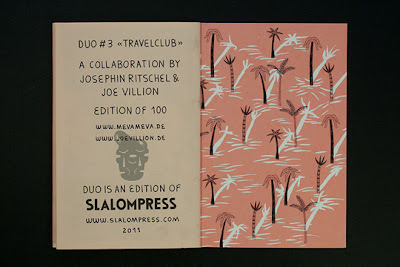 s l a l o m was founded in 2010 by joe villion and is a small publishing project focused on illustration. The editions are produced in small runs, partly handbound but also produced in a way to keep costs as low as possible to make them more marketable. Still the primary aspect of these editions is not to market them but to experiment with my aesthetical demand and the production possibilities.